Many of the jobs in the intelligence bureau have been announced by the Government of Pakistan. 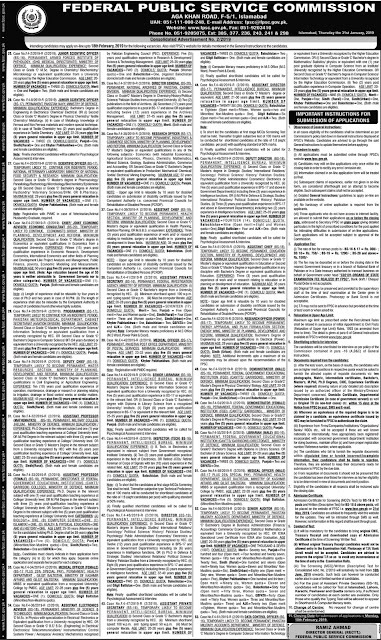 Various types of jobs have been announced in the intelligence bureau, in which all Pakistanis are eligible to apply. If you are from any city, you can apply to intelligence bureau jobs. 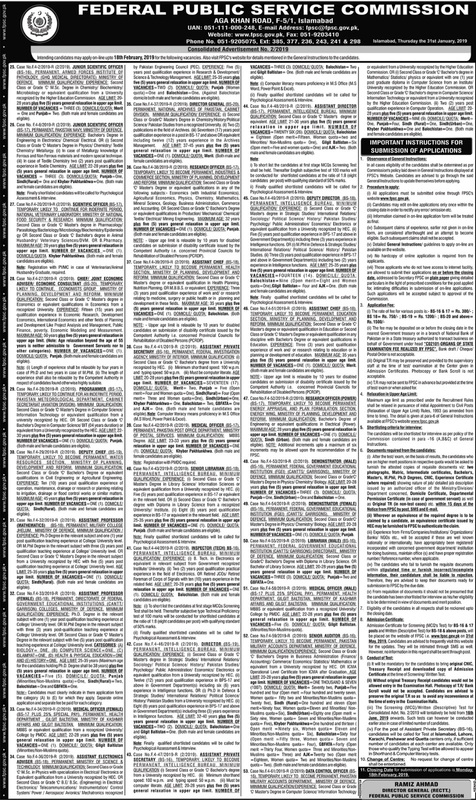 The specialty of the Federal Public Service Commission's jobs is that all Pakistanis can apply from any city. We provide you with information about all the Government vacancies and private jobs first, if you like us, please express your opinion. Your feedback is very important for us so that we can improve our web site. We never uploaded fake jobs information on this web site. Master’s degree in Strategic Studies/ International Relations/ Sociology/ Political Science/ History/ Pakistan Studies/ Psychology/ Public Administration/ Economics/ Electronics with 2nd division. Both men and women can apply to any city in Pakistan. You can apply for this job online on the website of FPSC i.e. www.fpsc.gov.pk, click on the link below.